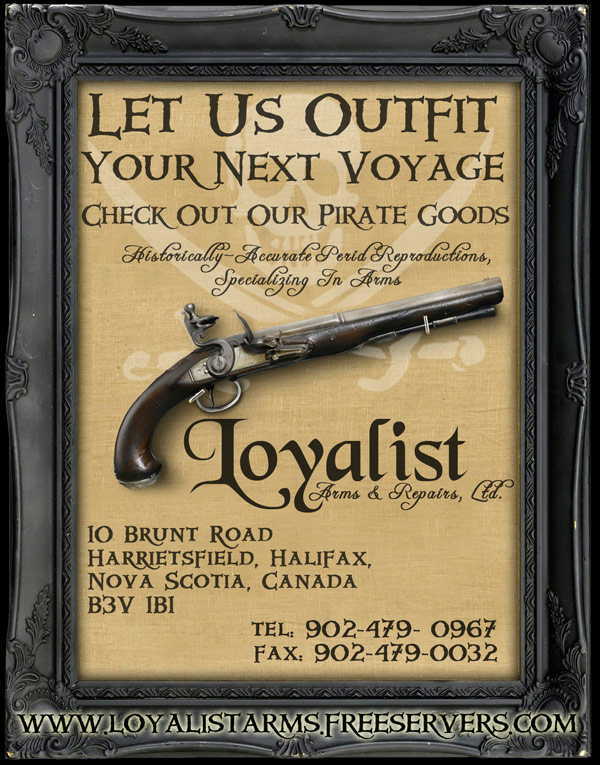 We ship most of our firearms , (see note on pistols), via Express Parcel Post insured - (1-3 business days to most locations in Canada), or Expedited Parcel Post - (slower but cheaper). We recommend shipping firearms by Express Parcel Post for fastest and safest delivery. Miscellaneous items can be shipped via Express Parcel Post, Expedited Parcel Post, or courier. We can ship items COD for an additional charge of $7.00. This is a fee charged by the post office. A valid FAC/PAL is required to purchase the brass cartridge firearms and percussion firearms. These items can be shipped via Expedited Post insured. Please include a clear copy of your FAC/PAL with your payment, and a daytime telephone number you can be reached. The firearms transfer will be called in to the Canadian Firearms Center. The CFC will need to contact you before the transfer can proceed. Once the CFC approves the transfer, we can ship. An FAC/PAL is not required for the flintlock, wheel lock and matchlock muzzle loading firearms except pistols. Pistols must be shipped via courier, and require a valid restricted FAC/PAL to complete the transfer, because they are considered restricted in Canada. Please include a clear photocopy of you FAC/PAL with your payment. Please inquire for total shipping costs. We can ship some of our pistols by Expedited Post if the touchhole is not drilled. It is then considered a non-firing decorator. If you choose to drill the touchhole, bear in mind that you are creating a restricted firearm, and must register it and have the appropriate permits to posses it. Loyalist Arms and Repairs Ltd will not be held responsible for any criminal charges incurred, as a result of converting a non-firing pistol to fully functioning without applicable permits. We will not sell firearms to anyone under 18 years of age. We will not sell swords, knives or bayonets to anyone under 18 years of age without parental consent and a completed, signed waiver. If you receive a damaged shipment or suspect a shipment is damaged, please notify us, and the carrier (Post Office, Air Freight, or Courier) immediately. Before a carrier will process any claim, a representative must inspect the merchandise and the shipping carton. Do not discard or destroy the shipping cartons. If you wish to return an item, contact us first for shipping and customs declaration instructions. Unauthorized returns are subject to a 15% restocking fee. If are not completely satisfied with an item, we will accept a return for exchange or refund less the shipping. Please return the item promptly - within 15 days, with no modifications to the product. All items must be returned in new, unused condition. Shipping fees on all returned merchandise is the responsibility of the customer. We will promptly refund your payment less shipping upon receipt and inspection. If you have accepted delivery of an item and do not contact us after 15 days, we assume that you are satisfied with the purchase, and the sale is final, not withstanding the warranty on moving parts and springs, which still applies for periods indicated in the manufacturers warranty. We cannot refund or exchange merchandise that has been altered in any way. No returns are accepted by freight collect shipping or COD. Returns and overcharges will be refunded promptly via credit card or company check. No warranty or guarantee is expressed or implied by this corporation or its stockholders on any item or product listed on our website or price lists, or sold by the corporation, except those products warranted by the manufacturer. Loyalist Arms and Repairs Ltd reserves the right to repair or replace any product purchased from our company free of charge or at a cost, depending on the situation. Any alteration or attempted repair on any of Loyalist Arms & Repairs warranted items, by anyone other than Loyalist Arms Ltd or approved service outlet will void all warranties. All warranty claims and adjustments must be handled by Loyalist Arms Ltd, or a service center approved by Loyalist Arms Ltd only. Loyalist Arms and Repairs Ltd reserves the right to add or discontinue any item at any time. Loyalist Arms and Repairs Ltd reserves the right to change the design of any item at any time. Loyalist Arms and Repairs Ltd reserves the right to add or remove any manufacturer or dealer at any time. The following note is made in lieu of all warranties, express or implied by the manufacturer. Loyalist Arms and Repairs Ltd will not be held responsible for any loss or injury caused in any manner, either directly or indirectly from any product obtained from Loyalist Arms and Repairs Ltd. Neither seller nor manufacturer shall be liable for any injury, loss or damage, direct or consequential, arising from the use or misuse of any product, (including but not limited to guns, swords, etc. ), sold by Loyalist Arms and Repairs Ltd. Before using, the user should determine the suitability of the circumstances under which the product is used; and the user assumes all risk and liability whatsoever in connection therewith. Due to the nature of all muzzle loading firearms, proper use, loading, cleaning, maintenance, proof testing, etc. are the sole responsibility of the purchaser. Proper safety procedures must be followed, while handling all firearms, but especially muzzle loading firearms. There are several good books on loading and care of muzzle loading firearms, on the market. We recommend you purchase one prior to using your black powder firearm. All black powder firearms should be loaded with black powder only. Smokeless powder absolutely should NOT be used. The customer, sutler or gunsmith must proof all firearms that are sold without the touchhole drilled prior to regular use. We recommend strongly that ALL muzzle loading firearms, no matter who the manufacturer is, be proofed before regular use.